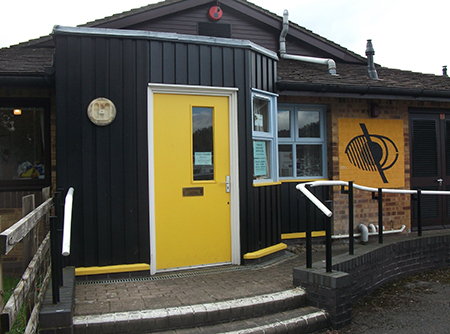 Previously known as Forge, a Charity for people with sight loss, we have now re-launched the Charity as Forest Sensory Services and our aim is to be the first local supplier of sensory support in the Forest of Dean. We will achieve this by providing….. Many of the people we support are still coming to terms with the loss of their hearing and/or vision and we can help them by assessing their individual needs and signposting them to others who may be able to help. We look forward to inviting you to events and updating this website with news of our progress. Details of our current services can be found on this website. Right Honorable Countess Bathurst Visited FSS today the 8th November. Lady Bathurst was given a tour of the centre by Jackie Frost the centre co-ordinator. and then went and spoke to volunteers and members of the craft group which meets at the centre every Thursday.